Interacting with the Indian diaspora in Shanghai and Seoul recently, Indian Prime Minister Narendra Modi boasted that his countrymen world-over feel proud of their Indian origin ever since he has become the prime minister of the country. In his address to non-resident Indians (NRIs), he added that it was a moment of shame to be an Indian before his assumption of power in Delhi. Such churlish and insulting statements by the Indian leadership at a foreign soil drew large scale condemnation both inside and outside India. Modi would like the world to believe that he is the best thing to happen to India. If you deconstruct his speech, a narrative will emerge. When he says his India is different from India of the past, he actually means it. He is talking of his ‘idea’ of India – an India which subscribes to his majoritarian worldview, an idea where a minority member is reduced to a second-class citizen. Zeshan Ali Khan does not fit into his world view. No wonder his job application is rejected by a top diamond company in Mumbai because only “non-Muslim candidates” are hired by the company. In recent times, no such instance of blatant and open anti-minoritism comes into mind. The news is not surprising and there is nothing new in it. There has been a latent discrimination against Muslims in Indian society and it has been in existence for years. But what makes this news disturbing is the timing. It comes at a time when there is a government in Delhi whose anti-Muslim and anti-minority credential is very strong. There is open anti-minoritism in the present establishment. One year of the Modi regime has seen concerted attacks – both verbal and physical – on Christians and Muslims. The desecration of churches and the damage to Christian religious places of worship are open manifestations of this aggression against religious minorities. Radical Hindu groups launched “ghar wapsi” programme targeting Muslims and forcing them to reconvert to Hindu religion. Muslims were also the victim of “love jihad campaign” started by the extremist elements and individuals who were opposed to any relationship between Muslim men and Hindu women. Such open and selective targeting of religious minorities is a by-product of the Modi era. Few months ago, Pravin Togadia, an extremist Hindu leader from Gujarat, openly asked Hindus to expel a Muslim family who has bought an apartment in a predominantly Hindu housing society. The very fact that someone dares to say such things openly and gets away with it without any condemnation tells a lot about the predominant presence of divisive elements in the society. Before Modi left Gujarat to lead India, he bequeathed a polarised and religiously-fragmented society. As chief minister of an important coastal state, he never attempted to bring the two communities together. He never tried to reach out to the Muslims, who fell prey to his divisive politics quite early in his tenure as chief minister in 2002. He never gave tickets to Muslims to fight on the BJP symbol. There has never been any Muslim representation in his cabinet. Modi’s leadership only widened the differences between Hindus and Muslims and accentuated the religious fault-line. Modi got a historic mandate last year by winning 282 seats out of 545, a majority no single party has achieved in the last three decades, but there is no Muslim name in this list. This is also very unusual in independent India’s history. There are two Muslim names in his ministry but both of them hold only minor posts. Recently, Gujarat passed a draconian anti-terror bill that stipulates that a confession made by a person before a police officer not below the rank of superintendent of police shall be admissible as evidence in the trial of such accused, co-accused, abettor or conspirator. This is draconian and social activists strongly believe that it is aimed at targeting the Muslim minority in the state. Ever since the Modi regime has assumed power in Delhi, it has been trying to communalise school textbooks by introducing Hindu religious texts and practices in the educational curricula. A systematic attempt is underway to communalise Indian history by relegating the Muslim icons and history to the margin. The individuals, who have never been serious history students and are hardly known in academic circles, have gotten the prized posts under the chief of Indian Council of Historical Research (ICHR), the premier history body that allocates funds for writing history. These individuals belong to Rashtriya Swayamsevak Sangh (RSS), the ideological godfather of the ruling BJP. Rewriting the history textbooks is top in the agenda of the Hindu right-wing groups. Recently, Home Minister Rajnath Singh questioned the greatness of the 16th century Mughal king, Akbar. He wanted the Rajput king, Rana Pratap – who happens to be Hindu – elevated to the same status. By playing historical figures against each other, Singh is injecting communal bias into history writing. Rana Pratap was just a regional king and Akbar was the king of India and they fought against each other to establish their supremacy. It was not a Hindu-Muslim battle. But the BJP regime wants to give communal colour to history and cast an aspersion on the benevolent king, Akbar, who is remembered in history for promoting religious harmony. Couple of weeks ago, a right-wing Hindu group defaced all the road signs in Delhi with Muslim names. The government did not try to attempt to take any action against the group. It is such silence on the part of the present regime that is very dangerous. Those who speak against minorities, and indulge into violent acts against them, go unpunished. This is not only an endorsement but also encouragement to the right-wing Hindu groups. Therefore, the whole atmosphere is anti-Muslim under Modi regime. It is no wonder that some of the private companies dare to openly reject the application of a Muslim candidate for jobs. Such open ill-liberalism is tolerated by the government. The Modi regime makes lots of noise about economic development but its real agenda is something else. Prime Minister Modi is hyperactive on social media and tweets about everything on earth but maintains a questionable silence on such disturbing issues. He has not uttered a single word on the incident in Mumbai. Mainstreaming the minority has always been part of the national reconstruction after independence. It has been a narrative very much ingrained in the sub-consciousness of the country. Hindu right-wing has been trying to alter the instinct of India. It has been playing with the idea of India. But people of India are alert. Zeshan Ali Khan’s Hindu friends, who were selected by the diamond firm, refused to take the job despite being selected, showing solidarity with their batch-mate. That is very heartening and a slap on those who perpetuate discrimination in the name of religion. No amount of economic development will help India grow unless there is social and religious harmony in the country. Our strength is its diversity and Modi is playing with that. Can we ever be proud of Modi’s idea of India? another rant by this loser, picking disparate and random threads from everyday happenings in a vast country like India, to ‘build his case’! Let me see. As per him, Modi should behave like a all-powerful and all-controlling dictator, to control the very thugs and actions of each and every 125B indians. Right! like you are rare, indeed. Truly, it takes courage to write what you wrote. or swami could have dreamt this caricature, it belonged in a Kabuki theater. Slowly the Mission Statement of the Vermillion Lord is becoming evident. It is now open hunting season on minorities. A 200 million strong Muslim minority treated as non entities. Peaceful Christians, hounded and harassed. Killed. The applicant uses “[email protected]” as his email ID. he carries religion in his name. Muslims consider 786 as a holy number, something to do with “Allah” and Arabic. The company he is applying for job also carries religion in their names. It is Hare Krishna Exports. It is a private company and their product brochures may have photos of hindu Gods and their marketing strategies may also involve religion, like jewelry shops try to promote sales by saying that it is auspicious to buy gold on Akshay Thrithiya. Would Zeshan be comfortable handling hindu religious material and promote sales using hindu religious pitch? Apply for a Manager’s job in a Japanese family owned company run by seniors of the family with your email ID that has “444” at the end. You will be rejected. “4” in Japanese sounds like a Japanese word that means “death”. “444′ would sound to them as “death death death”. You may have the same results if you are applying with “666” added to your name in your email ID and the employer subscribes to a religious belief that “666” signifies Satan. Shameful act by those who refused a job to the Muslim boy, the people concerned are also facing the music as well. Equally shameful is the author linking this story to the PM of his country without any evidence. Speak for yourself, he would not be the PM of his country with absolute majority in a country with overwhelming number of Muslims if people did not believe in his idea of India. Enough of people like you trying to distort facts and history to impose your own idea of India on others. 1. The people of India will think only in 2019, when PM Modi would complete his five year term … !! … the people of India have seen for the past 68 years, how the Muslims and other minorities have been fooled by the pesudo-secular leftist liberal elites in the media and politics, and used as a vote bank … !! 2. If there are not enough Muslim faces in the BJP Govt. it is not Modi’s fault … the patriotic Muslims in India must come forward and join the pro-India nationalist forces like the BJP of Modi … !! Really?. Absolutely not. From the very independence they were given unconstitutional favors by the governments before this govt. You pass Hindu Code Bill, force reforms on Hindus through that but when it comes to second biggest majority of India your legs shake. You fear their backlash. India have some approx. 200m people who are not governed by any state civil code. You don’t stop there, you then appease them by passing a law ‘The Muslim Women (Protection of Rights on Divorce) Act’. to nullify Shah Bano case verdict. Please read more than just newspaper. From the very independence, Left thinking influence indian text books not only in states where it was in power such as West Bengal but at the national level as Congress is essentially Left party allegedly trying to shift to centre. Indian Council of Historical Research (ICHR) was field by people from left. Read Eminent Historians by Arun Shourie. You will come to know how this text books gloried Islam, Muslims Kings while denigrating local kings, local traditions. The ongoing attempt is just to correct that part of the history. He tied the cow to the tree and started telling about the tree where his job was to describe the cow ! Covering all bases? They play baseball in Hindustan? Natch. Seems he missed the Home Plate with his hatred for Muslims. Instituting reforms? What reforms? Could you name some? Did you know Modi is a mureed of Maharaj? Heard of Maharaj? Majorities nationalistic instincts? How many majorities are there? You are second guessing. You are conjecturing. Nothing in real time. it all off you have add USA after your moniker, to give yourself validity. True – to some extent. I think Modi really wants to leave a legacy. It’s obvious he is personally clean. As to his policies, yes they can be debated. But then so would anyone else’s. The point is he is really trying to make a difference. Some idiots in the Sangh Parivar and its extended family do tend to bog him down, but then he needs their political capital, so he can’t reject them outright. As long as he can manage their stupid utterances, they should not bother him. Also, his key ministers such as Jaitly, Rajnath, Parrikar, Prabhu, Nirmala Seetharaman, Piyush Goel, Ravi Shankar Prasad etc are all competent (not Smriti Irani though!) and all have a progressive agenda. Agreed Modi is Communalist & not a good thing .This is the difference : One Indian chap (though not isolated case) does not get job due to his identity, he takes his battle to social media , Indian media (otherwise called TRP media) sensationalises it . The company asks forgiveness & the PMO reacts to the news , despite being ruled by Communal characters. This xenophobic attitude becomes a big news not just in India (where it is deserved) but also in neighbouring theocratic Pakistan (wrongfully to develop complacency). 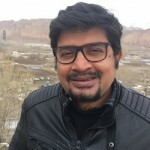 But ironically , when around 4000-5000 members of minority community migrate from Pakistan to India , it does not become a Sensation in Pakistan ….a dry sporadic reporting is done as if this incident is happening not in Pakistan but somewhere else….no blogs surface ….no conspicuous attempts to understand their fears , their opinions etc. When these people get Indian citizenship , again no empathy rather the Pakistani Civil Society complains that “why India has granted them citizenship – it is a Hindu Nationalist conspiracy against us”. Lol. this is as amusing as is your assertion that Modi is Hitler-incarnate. Modi is no friend of Muslims, yes, but he has no issues with the other minorities. But he dare not allow the agenda of the idiotic Hindutva brigade to run free – he knows that he will not survive any such project. But I do understand your admiration of the author for his ‘courage’ in writing against Modi. After all, if something were to be written on the same lines in Pakistan (or Bangladesh), the writers (or bloggers) would have themselves separated from their heads. However, if you were to have a cursory look at Indian media, you’ll find such articles all the time critiquing Modi and his government. That’s just how we are – heard of The Argumentative Indian? Shankar, Nirmala, Rajnath, Maharaj, Jaitley, Golnath, Amarnath…. When are you praying in the same mosque as that of those Muslims who address themselves as Ahmedi Muslims? How did your country come into existence,you would not want to be at the receiving end, isn’t it? Do you have a code book? So your comment can be decoded. Pakistani’s love to think that India is the worst country of the Earth and every negative news item (that are chosen on purpose by the newspapers) is a testament to that belief. Pakistani’s think that Muslims in India are fellow Pakistani’s and they have an obligation to stand-up for them and support them. According to Pakistani’s minorities are being systematically killed in India and regularly discriminated against. Pakistani’s love to hate Modi and as long as any Modi basher comes along and says something against him – he is speaking truth. They love to bash Indian democracy and think that democracy is some kind of panacea that is expected to cure all ills (which reflects very poor understanding of democracy). I want to ask them – Do they think these things not happen anywhere in the world? Most countries ostracizes some of their population including Pakistan (Whether it is Hindus, Christians, Ahmadias or Shia). So the people who kill fellow muslims how can they stand for other Muslims on what ground, let alone minorities? Even your constitution discriminates against them but Pakistani’s still think Pakistan is the best country for them. Similarly, Indians think that India is best country for them and are proud of it. So instead of wearing a patriotic hat and starting to bash everything Indian, find something in your country that you can help fix or be patriotic of… because India hating is NOT a measure of your patriotism. Show that else where in a constructive way. Similarly Pakistani hating is not a measure of Indian Patriotism. I as a Pakistani take an exception to the above comment of your. I don’t want to argue regarding Modi. He is your PM and whatever his actions, I am sure the Indian people are capable of making the right choice in their own interest. However, I just want to mention here that noone in Pakistan gets beheaded for criticizing the Government. One insitution that has been at the forefront of analyzing and criticing the Government is our Media. And by media I am not restricting it to TV. Our print and digital media is also very active in such endevours. The number of Indian readers on Pakistani news websites who comment regularly is larger than the number of Pakistanis I have seen on Indian print media websites. And a number of these readers have praised our journalists and writers especially those reading Dawn. I don’t know if you get Geo TV in India or not but in case you do, do watch the programs especially “Khabar Nak”, “Hum sab Umeed se Hain”, “BNN” and the various talk shows. We Pakistani’s are pretty good at laughing at ourselves as these programs will tell you. 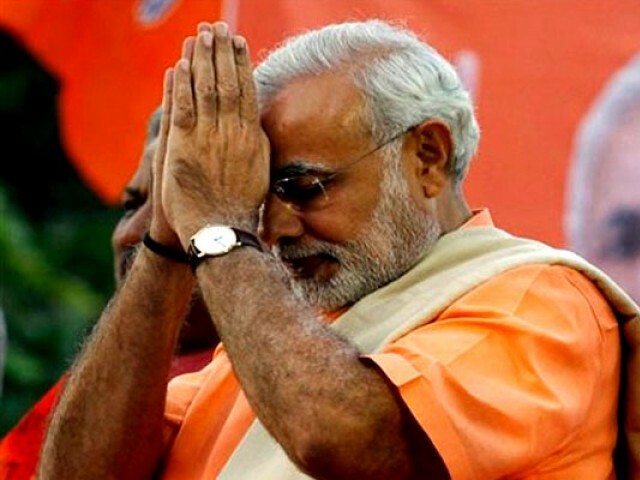 India doesn’t believe that we have to prove our secular credentials by choosing a Muslim PM. If a Muslim proves good enough to lead a party to a win in national elections, he’ll become the PM. Whether you want to believe that or not is entirely up to you – in which we have no interest whatsoever. When we say “Government” we mean the “real” government in Pakistan i.e. the Deep state. How many journalists dare to question the army? “Journalists, in particular those covering national security issues or human rights, are targeted from all sides in a disturbing pattern of abuses carried out to silence their reporting,” he added. crisis in Bharat. ‘Who to follow”..
You are one of the very few to believe so and why would India need to prove anything to the Pakistanis who rejected the idea of India a long time back?